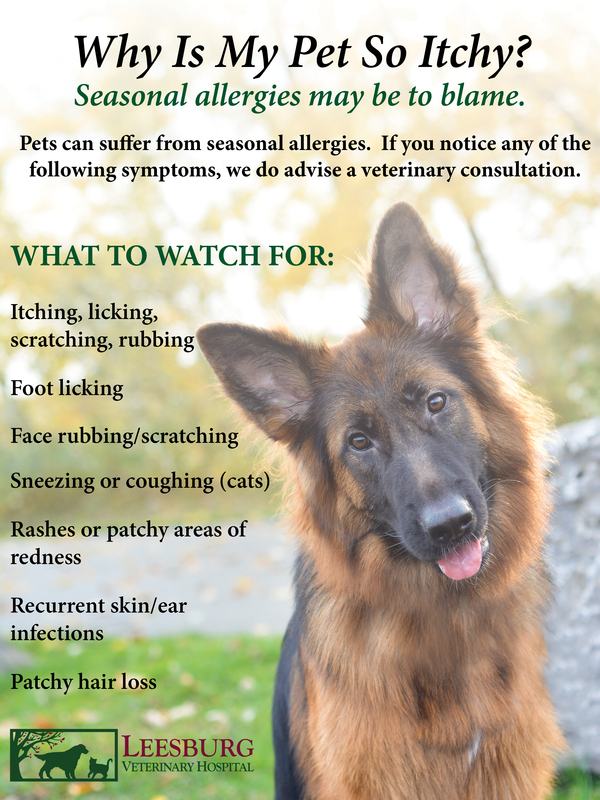 This time of year we get many calls about pets that are scratching at themselves, licking their paws, having runny eyes, and are sneezing and coughing. Pets can suffer from seasonal allergies, and if your pet is showing any of the above symptoms, we do advise a veterinary consultation. Not every case is the same and certainly not every presentation is due to allergies – there are many other causes of itching and respiratory symptoms in our pets; your veterinarian can decide upon the best course of action for you and your pet. We do not advise giving any medications to your pets without consulting a veterinary professional, as many are dangerous for pets and if the problem is not allergy-related, the medications may not be effective. The good news is that your pet does not have to suffer – we are here to help keep your pet as comfortable and itch-free as possible! Feel free to contact us for further information or to schedule an appointment. 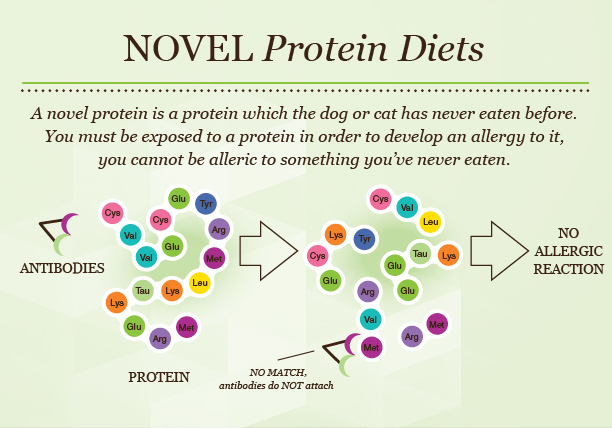 Introducing “novel” food sources into your pet’s diet may help with allergies. Food allergies are potentially serious problems that can result in sensitive or irritated skin and coat conditions, ear infections, or even gastrointestinal problems like vomiting, diarrhea, or frequent bowel movements. Food allergies are reactions by the immune system to a particular protein or carbohydrate source within a diet. Many commercial pet foods contain ingredients that we are most familiar with and have the potential to cause a food allergy. According to recent veterinary dermatology studies, these ingredients include chicken, beef, dairy, and occasionally wheat. 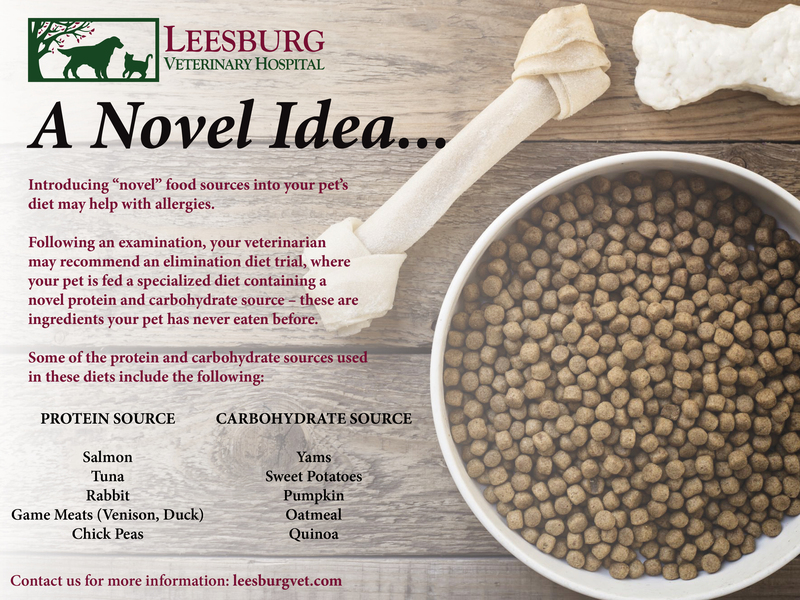 Leesburg Veterinary Hospital carries a large selection of prescription diets specifically formulated for dietary sensitivities and food allergies. Your veterinarian will determine which diet is best for your pet. While seasonal allergies and ingredients in food products can cause many uncomfortable symptoms for your pet, these ailments may be caused by something else. The doctors at Leesburg Veterinary Hospital stress the importance of a thorough physical examination and skin tests to make the correct diagnosis and appropriate treatment plans. Case in point, Roosevelt, a bulldog who was recently adopted from a local shelter, came to see us with a terrible case of demodecosis (demodex mites) and a secondary bacterial infection. Dr. Kloer performed a skin scrape and cytology to confirm and prescribed the correct treatment. 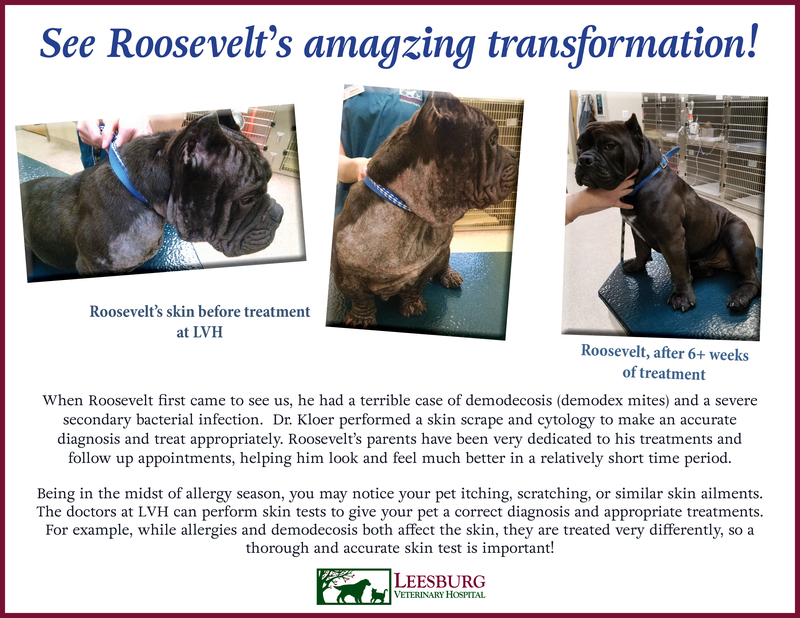 As you can see in the photos below, Roosevelt looks so much better after just six weeks of treatment and follow up appointments. If your pet is itching, scratching, shaking its head, or just seems all around uncomfortable, give us a call – after a comprehensive evaluation, we can help you pet begin feeling as good as new! ← Get out and enjoy the great outdoors this spring. Just leave the retractable leash at home!